I was wondering what causes baby zits or baby acne? 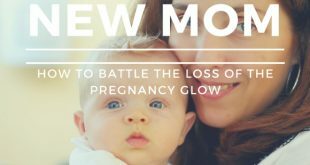 I am a mum of five kids and my 4 weeks old has got pimples all over! Never recall any other having them. Is it an allergic reaction to her formula maybe? I have included a close-up image of how baby acne typically looks, so you can compare. What you see in the picture is normal baby acne, and from what you describe, it does sound as if this what your 4-week-old has. If the pimples look like red little bumps, you can be quite sure that baby acne is what your baby has. 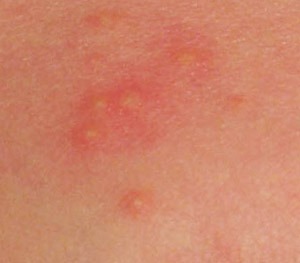 The skin around the bumps can also be red and sometimes white pustules or whiteheads can also develop. If the bumps are all white instead of red, they are more likely to be milia – something babies also get, but that is unrelated to baby acne. 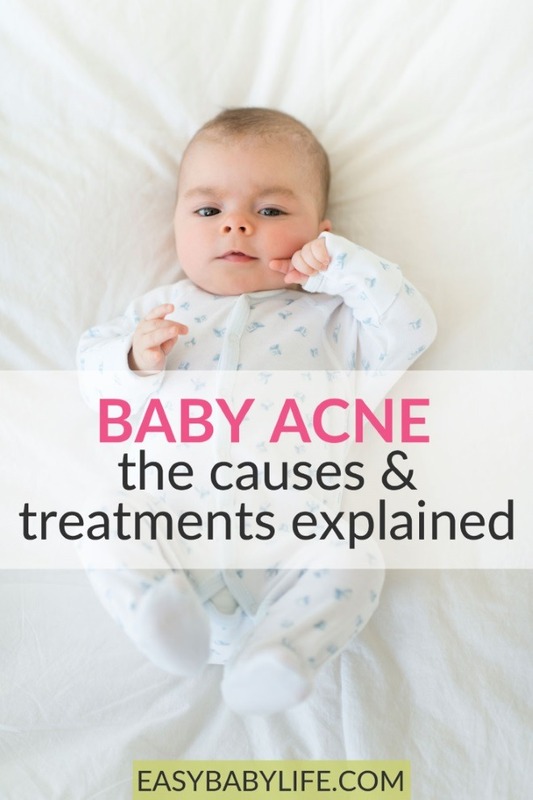 It is not all clear what causes baby acne, but it is believed to be caused by hormones. Some 20% of all newborn babies are affected and it is more common among boys than girls. Baby acne is NOT caused by allergy and it can’t be prevented. It usually presents at around 3-4 weeks of age. You can read more about normal newborn baby appearance here, including baby acne. Treatment for baby acne is typically – nothing! Avoid lotions and baby oil, since they can make the acne worse. When washing your baby, just use lukewarm water and possibly a mild soap. In most cases, baby acne clears within weeks, but it can sometimes take up to several months. The rule of thumb is to talk to a Dr. if it hasn’t cleared within three months or so. Of course, you should also talk to a doctor if the acne gets much worse or if you think it is not just baby acne. I don’t think it is the formula, though, the way you describe it. A rash related to formula would be related to milk protein allergy. In such case, the rash would not be pimples; rather red and dry. If it would be milk protein allergy, your baby would also have belly issues, such as pain and loose or hard stools and vomiting more than the average baby. So unless your baby has these issues too, or isn’t thriving, you could just wait for a couple of months and see if the acne disappears. You can read more about the signs of milk protein allergy here. Breast milk! This magic liquid works for so much. Not well-researched, but moms swear by its effectiveness. Express some milk and apply to the skin. Organic, virgin olive oil, or organic virgin coconut oil. Topical application of probiotics.. 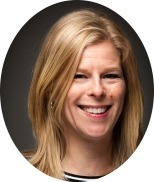 Backed by research and supported by The American Academy of Dermatology. This is something I would really try! Baby acne is more common than you think. All of my children had it at one time or another. The most important thing is not to irritate the skin. Be sure not to over-wash your baby’s skin or touch the area too often. 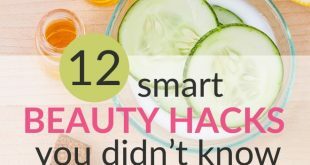 This will lead to more breakouts. Also, I do not think that the acne is due to an allergic reaction to milk or formula. If it hasn’t cleared up in a few months, see a doctor for your own piece of mind. Sometimes hearing advice from a professional will ease your mind even if the problem can not be fixed immediately.